On the day of Irene, as the winds calmed down, I stood in the front yard talking with neighbors – a couple who lives mostly in New York City except on some weekends. We were comparing damage notes. Then, two other neighbors drove by to check in. I said, “We’re okay. Just need to get back to bailing out the basement” – which was a fight against waters rising high enough to short out our new furnace (which we had bought two years ago when our house burned). These neighbors didn’t blink. “We’ll be back in a few minutes, buckets in hand.” And they were. For another two hours, they helped haul buckets of water up our rickety basement steps, across the house, and to the back door to flush the water toward the pond. And then one of the neighbors searched among other neighbors for a portable generator. And found one. Within 90 minutes, our basement was cleared of the several inches that was quickly building. Today I’m writing this piece thanks largely to the vision of Scott Tillett and Jason & Amara Stern. A few years ago, Scott had the good sense to turn a warehouse space in Beacon, NY and one in Kingston, NY into co-working spaces. For a nominal monthly fee, I get a desk and cool company. It’s called the BEAHIVE, and it’s situated directly below Jason and Amara’s publishing company Luminary Publishing. Yesterday evening, a guy who writes music for Hollywood popped in for an all-nighter to finish some music for an upcoming independent film called Take a Chance with God. When I came in this morning, the guy was still working and then raised his arms in victory. I wouldn’t have had that experience if I stayed in my home studio and study. I also wouldn’t have experienced Jason’s generosity in letting me use his company’s conference rooms for the next few days for phone interviews and in-person client meetings. Today I walked around the block in uptown Kingston and bumped into three friends, two of whom are creating the next 0+ Festival that brings together health care providers and artists and musicians. Is that cool or what? Suddenly, uptown Kingston feels like an extended neighborhood. Do you have the experience of being among real neighbors? Do you live where people check in on you just because…? We can create digital neighborhoods, which are valuable, but a tangible, unique neighborhood where people care and create is priceless. Regardless, I’d love for you to share your day’s three highlights – and let us know where you’re writing from. We, some of us, are a people who don’t like to be inconvenienced. When the Starbuck’s line gets four people deep, we huff. When bandwidth speed slows down, we gripe. Some of us have grown so accustomed to controlling circumstances and fortune, karmic handshakes and secret attraction loops, that we no longer let chance or bad fortune enter our by-design vocabulary. So, emergencies, the real ones, can test us. When the headlines and warnings about Irene’s fierceness came last week, luckily I was in a space that I could hear them. My busy season had just passed, and no new urgent project absorbed my attention with false priorities. In fact, I had spent much of last week spaciously hiking and walking and talking with my 26-year-old niece. So by the time she left on Friday, I could face the fact that an emergency – a 430-mile-wide-100-mph-wind-10-inches-of-rain emergency – could be on her way. Head space seems to make a difference. If you’re stuck in busy, urgent “I-have-important-things-to-take-care-of” mode, then it’s difficult to stop your wheels and listen to what matters. But acknowledge imminent danger or death, acknowledge how temporary everything is, acknowledge that your work will still be there waiting for you after the emergency, and you might save yourself a lot of time and grief. Prudence might be the mean between fearful reactivity and foolish disregard. And it doesn’t hurt at times to ask her to come out and play. She is a dear. Our household responded. Neighbors exchanged cell phone numbers. We stayed off the roads. We braced ourselves. We read and talked and listened to the winds. The town’s supervisor and a cadre of emergency volunteers have stayed on hand to aid stranded and distressed neighbors. Our basement flooded to near-dangerous levels, but my wife and I bailed buckets, and then two neighbors stopped by first to help bail and then to find a generator to kick on our pump. The three forty-foot trees that fell on our land barely missed our house and shed, but a neighbor dropped by, chain saw in hand, and introduced himself and offered a price we couldn’t refuse to give us instant fire wood. The rising waters washed away a small wooden bridge on our pond, but we wanted to build a new one anyway. Our house is out of power and will be for most if not all week, but I had wanted to get back to a co-working space in the city of Kingston anyway – which, it turns out, does have power and WiFi (which is where I am now). But a little inconvenience is nothing to complain about. Compared to Katrina, tsunamis, the rebellions that are wreaking havoc in other countries, we’re fortunate. That said, deep sympathies go out to the people who did lose homes and businesses and loved ones these past few days. Prepared or not, there were casualties. Minor and major inconveniences aren’t likely places to track delight and wonder, but they are places fertile to track how spacious or cramped our minds (and basements) are. What about you? Any emergencies or minor inconveniences challenge your pace today? Regardless, share with us your day’s three highlights and let us know where you’re writing from. “Say ‘uncle’!” my fifteen-year-old sister would say, her knees pinning down my arms and her hands mercilessly tickling my nine-year-old ribs. Fast-forward 37 years. My sister’s 25-year-old daughter visits me this week. I now play the role of the word that somehow means admitting defeat. Already she has had, it could be said if someone else were telling her story, a series of defeats. And yet she embraces life with an attitude of such clear fierceness, quiet direction, calm certitude that she frames her stories as anything but tales of defeat. In fact, if our conversations have had any common theme it is just that: How do you deal with past hardships? Do you latch onto them as an excuse for your limitations? Do you prevail despite if not because of perceived defeats? Who is the agent of this one wild life? All of this I derive in spending only a few hours so far with her walking along the Shawankgunk Ridge this morning or eating lunch or walking through the hamlet of New Paltz. How about you? Any reflections today on not letting moments of perceived defeat frame your perception of your whole day? Any observations on how being tickled mercilessly might not be the worst way to get attention from your older sister? 🙂 How do you say ‘uncle’? Regardless, share your day’s three highlights and let us know where you’re writing from. I asked my daughter what I should write about this evening. She pointed to her toy barn and said, “Barn animals.”And I thought, Yes, of course. The animals among us deserve their due, especially after the heron visitation yesterday. So, the topic of “barn animals” made me think instantly of a couple of paintings and of a neighbor. In retrospect, the painting seems more insulting to animals than to college boys. And I’m not being facetious. 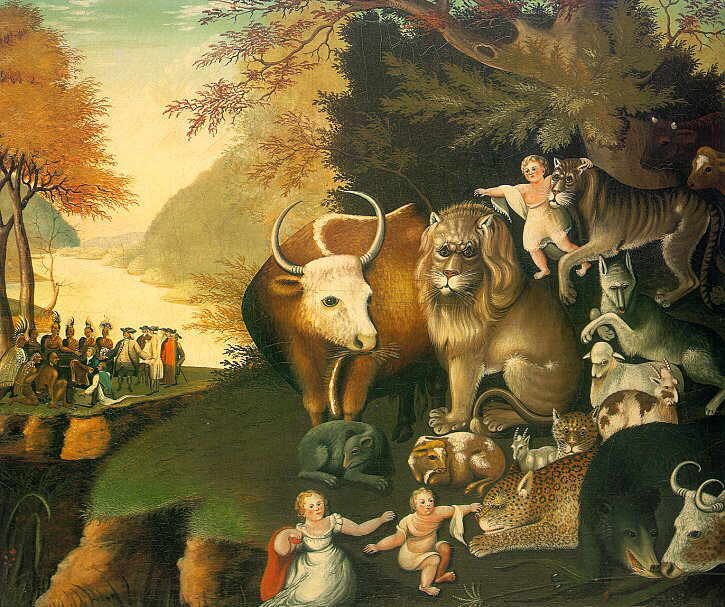 The other painting (from a series of paintings) is one of Edward Hicks’ Peaceable Kingdom paintings from the 1800s. It depicts animals of various sorts – predators and prey – encircling a child peacefully. I’ve often taken this Quaker’s paintings to suggest something of an idealistic peaceful co-existence among our fellow mammals. But at least one commentator suggests that Hicks, concerned with his fellow Quakers new-found materialist quests, was working out some ideas about humanity as implied through the personality qualities of certain animals. I’ve often wondered how certain animals became reduced to human personality traits. You know – how did “lion” equate with ego? Coyote with “wilyiness”? That sort of thing. So in one painting, animals stand in for unsavory human behavior. In the other series, animals stand in symbolically for human personality traits. We do go about projecting ourselves, don’t we? Which brings me to my neighbor. She’s the town’s dog officer. And she also takes in a full farm’s full of abandoned or neglected animals. Two peacocks. Three horses, the latest one named Levon (after Helm, who lives not far from here). Petal the pig and her new friend Rose. A turkey. Geese. Goats. Ducks. My daughter and I wander down the road sometimes to feed them. I sense my neighbor sees the animals for what they are and not as some projections of what we think we are. That’s my hunch, at least – even if she does name them, which does sort of endear one to a sow named Petal, for instance. It’s a challenge to just see things, even other mammals and other people for what they are and not for what we think they should be and not for some vessel for own projection. It’s a challenge. David Abrams’ new book Becoming Animal offers some complex reflections about this very thing that I cannot even begin to summarize so I shan’t try. Suffice it to say that if we did let ourselves become just a bit more animal, just a bit more connected with other parts of our mind and body, just a bit more attuned to the nuances and signals and patterns of the world, we might, we just might feel each day with more aliveness. I need to go now. My daughter’s calling me. “Night, night, animals.” It’s time to close the barn and say goodnight to the various animals, to the various parts of ourselves we feed and let out to play and tuck in for the night. To all you animals, good night, and happy weekend. What about you? 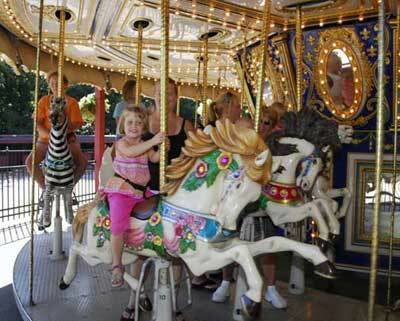 Any animal encounters today? Share your day’s three highlights and let us know where you’re writing from. This morning, I tried to write a few pages. The words flailed, poor things. I felt more pity for them than for me. I have been at this project for a few years and have tried to be steady but usually fail at that steadiness.Still, I show up. I took a break from the voices and the writhing words and walked out on the small back deck. My presence startled from the pond’s edge a magnificent blue heron. He was, indeed, great. 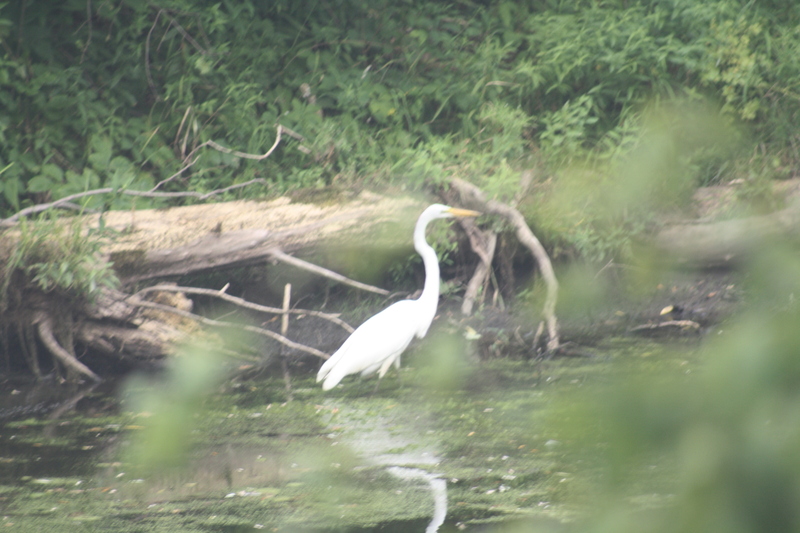 His prehistoric wings, as big if not bigger than his nimble body, spread and flapped himself across the pond until he blended in among green brush. Some indigenous people in some parts of the world would know how to read the appearance of a heron without being selfish or self-centered. Someone might, then, know that the sign of a heron means the pond’s water is fresh and stocked with fish. Or something like that. Or someone might know, because of knowledge of a heron’s flight patterns, what that appearance forebode for the weather or the seasons. You know, that kind of reading. Our ancestors have been reading bird patterns for years, you know. Auspicious comes from the combination of avis (as in aviary or as in OJ’s infamous favorite rental car agency) + spicus = reading of the bird. Me? How do I read it? With a slack jaw and wide eyes and bated breath. Something in a blue heron’s solitary presence has lured me for years. Something in its elegant gawkiness seems recognizable. Its careful, pointed path for hunting and then striking at just the right time, admirable. The necessity of creative solitude, that is the medicine I draw from the heron. I fear my readings remains selfish. I turned around, closed the French door, and through my binoculars watched the stick-like bird hone its sights again on the pond edge. Patient and ready to pounce. I returned to my desk and waited. What about you? Any signs you read today? Any medicine? Share with us your day’s three highlights – and let us know where you’re writing from. This evening, once I let myself off work, or once my daughter politely asked me to stop working – “Papa, outside?” – I found myself at ease, my mind spacious as I pushed the wee tot in a tree swing. The steady push and pull was as much a lift-off for me as for her, I think. It has been a busy day, one busy mostly between me and my work and frequent & urgent correspondence today with clients. For whatever reasons, things were “off.” But no matter. I tried not so much to push through as to handle, with as much grace and space as possible, whatever arose. But you sometimes don’t know just how much tension you hold until you release it. So each and every day we need, we each deserve those moments when our feet lift off, when we feel the unbearable lightness of being, when we we feel more gracious space than the weight of time. When we do, we can then come back to walking, running, keeping balanced, feet on the ground, and know that to be earthbound is quite a beautiful thing. What about you? Any light or momentary lift-offs today? Regardless, what were your day’s three highlights? Share them below – and let us know where you’re writing from.